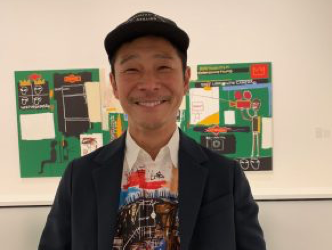 The Japanese businessman Yusaku Maezawa (born in 1975), the eighteenth richest man in Japan according to Forbes, founder of Japan’s largest online fashion mall, Zozotown, became an overnight celebrity in May 2017 when he announced that he’d purchased an enormous skull painting dating from 1982 by the American artist Jean Michel Basquiat, for 110.5 million dollars. 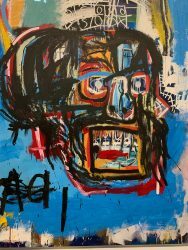 The previous record for Basquiat was set in 2016 at 57.2 million dollars. This was an enormous jump that pulled the African-American artist up into the ranks of the giants of the art market. Since then, we’ve learnt that Maezawa set up a contemporary art foundation that has been running since 2012 in Japan. He became even more famous on 18 September 2018 when he announced his plans to take part in the SpaceX mission to go to the moon scheduled for 2023. It’s a project established by Elon Musk in which he wants various artists to participate. 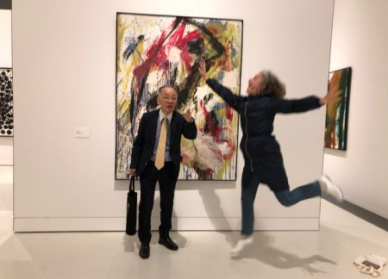 I met Maezawa on the occasion of the opening of the remarkable Basquiat exhibition at the Louis Vuitton Foundation in Paris. He was wearing a shirt printed with a picture of “his” Basquiat. He asked to see the questions before our interview. But once he’d got into the swing of things he played the game completely and with simplicity, to the point of answering other related questions very spontaneously. He displays a touching candour and sensitivity. This short interview reflects the spirit of a dreamer in this unique individual; a successful businessman who also shows his emotions without pretence, who dares to say a painting can bring him to tears. He seems sincere and willing to share his dreams with the entire world. 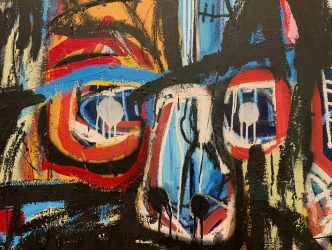 You bought a 1982 Basquiat on 18 May 2017 for 110.5 million dollars, a skull which is now on show at the Vuitton Foundation in Paris. Why exactly did you choose this Basquiat piece? What other art do you collect? 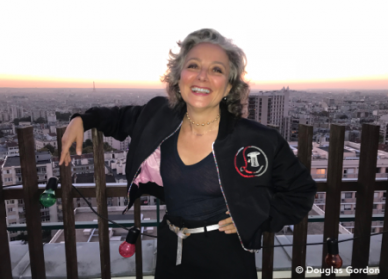 Why is art important to you? The interview took place at the Vuitton Foundation inside the Basquiat retrospective. 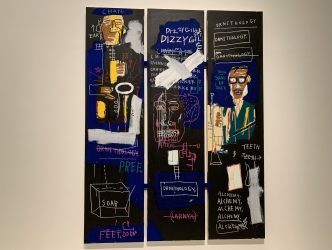 The Louis Vuitton Foundation in Paris is staging an exhibition dedicated to Jean Michel Basquiat (1960-1988), the hero of contemporary American painting, comprising 120 works that are emblematic of the artist. The ensemble of paintings and drawings presented here, together with the harmony of the exhibition layout, produce a show that is absolutely exceptional. 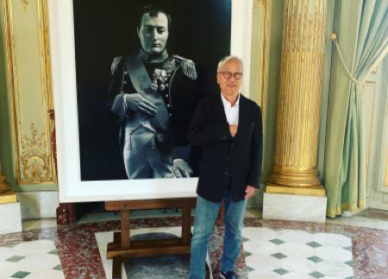 The curator Dieter Buchhart – who’s been behind all the major exhibitions of the artist’s work around the world in recent years – talks about this Parisian retrospective as being the “ultimate exhibition”. 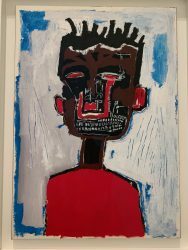 Observing his paintings and drawings up close, you can see that Basquiat designed each piece like a rebus. 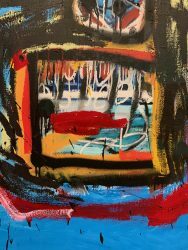 Yes, paradoxical though it may seem, the paintings of Jean Michel Basquiat (1960-1988), the eternally young black American painter who cut his teeth as a graffiti artist on the streets of New York, are conceived according to a complexity that harks back to ancient art. 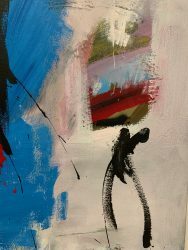 Erudition, codification, symbols… In his compositions, which despite having a central subject often resemble one big mess, everything has a specific meaning. 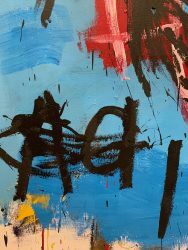 Explanations of five works by the curator Dieter Buchhart. Untitled, 1982. Yusaku Maezawa collection. Self Portrait with Suzanne, 1982. (1) Editions Enrico Navarra, 1996.